When search engines find you, customers do, too. Did you know that more online purchases begin at Google’s home page than anywhere else on the Internet? Search engine optimization has been one of the most important parts of promoting your website, and your company, for more than a decade… and with more competition than ever for the top spots on Google, Yahoo, and Bing, it’s only getting more difficult and more critical. Medora optimizes every business website we design and develop for maximum search engine visibility. In addition, we can audit your existing site, make effective recommendations, and create a plan for you to achieve better rankings, and find more customers. 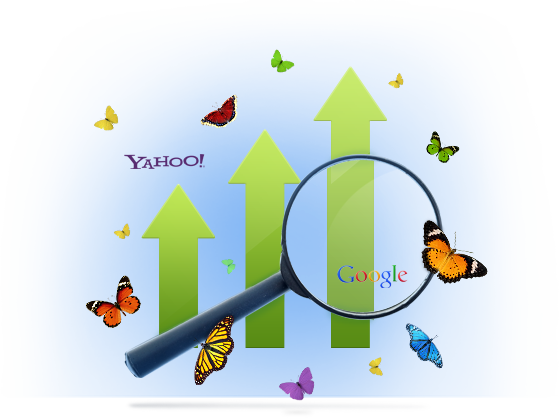 The most important step in any search engine optimization plan is finding out how to make the most of your site. Medora has the expertise and tools to give you the SEO edge you need. There are a lot of web design companies that claim they offer high-level SEO, but only make simple changes to your content and page headings. Medora goes deeper, examining your content, but also your website’s coding and other factors. SEO that focuses on sales, not just traffic. Ultimately, what will make your SEO plan effective or not is the amount of new sales you’re able to gain. That’s why Medora goes beyond gathering traffic and focuses on helping you to find more customers. More than one kind of search. Medora watches search trends to make sure that your site is optimized for all the major and emerging search engines.